With space on the shelf at a premium, how do you decide what to keep? The saying has been around for a long time, but recently it’s become fashionable to apply the principle of ‘less is more’ to the supermarkets. Faced with the sense that reducing ranges could help replicate the success of Aldi and Lidl, the major British grocers have been left with a clear desire to streamline their stores. There are inviting benefits for manufacturers and retailers in reducing complexity, and fewer product lines means greater efficiency from production through to shelf replenishment. The direct impact for consumers is not as clear. 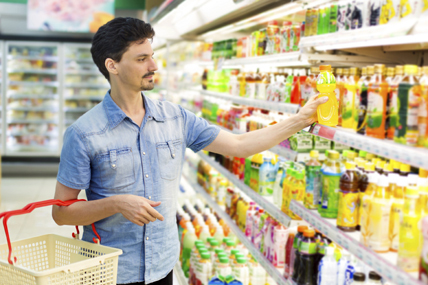 Are shoppers really overawed and frustrated by choice? Does having too many product lines on the shelf leave consumers scratching their heads, and would they prefer fewer options? Traditional supermarkets offer significantly more products for shoppers to choose from – around 30,000, four times that of a discounter. Yet it’s Aldi and Lidl that have seen tremendous growth over the past two years – their combined share increasing by 50% to reach almost 10% of the marketplace. supermarkets have gradually reduced numbers by one to two per cent. It’s unlikely that shoppers suddenly found supermarket shelves too overwhelming in 2011 and started spending at Aldi and Lidl. Limited range was at the heart of the discounters’ business model long before their meteoric rise in the UK; while simplicity is a contributing factor in the discounters’ success, store estate growth and an improved reputation have arguably played a greater part. To assess the impact of range reviews on shopping behaviour, we identified close to 500 instances of the seven leading grocers either increasing or reducing choice by at least 10%. At first glance, the results are overwhelmingly in favour of increasing choice: 15% sales growth in categories with an expanded assortment against 7% decline among rationalised ranges. Accounting for differing growth rates and seasonal market changes when looking more closely at individual categories, the picture differs. When all things are even, categories with expanded lines grew sales by 4% more than expected, compared to 2% for those that were rationalised. But this is only an average, and range reviews are no guarantee of growth – two in five categories increasing range saw sales decline, with fewer shoppers making a purchase. What’s clear is that opportunities for growth exist and to grasp these, standing still is not the answer. The healthiest option is to regularly reappraise the market, which can lead to expanding as well as cutting. 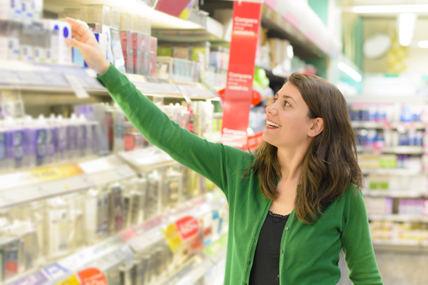 Retailers must assess what benefit each individual product line brings both to the category and the overall shop, and whether potentially alienating customers by removing some of their best-loved brands is offset by any operational efficiencies which come with a smaller range. Reducing range size can mean leaving shoppers unsatisfied. Yet very few people show well-defined brand loyalty. In a supermarket, shopping for specific categories is often planned – on average 80% of these purchases are intended – but this is less true for brands (50%). Brands have to work harder to capture and retain the shopper’s interest, and having fewer SKUs on offer will reduce their chances further. For brand owners, the mission is clear: do whatever you can to protect all your listings. If one of your products is delisted, shoppers will not automatically switch to a similar item from your range, meaning it’s no surprise that there is an occasional call from a retailer to cull an entire brand. It’s where Aldi and Lidl show another of their strengths, emulating popular brands and capitalising on the association. While product loyalty is of huge importance to the manufacturer, it’s no different for the retailers. When one major retailer delisted its own-brand organic coffee because of poor sales, it hadn’t realised the product was filling a niche which other retailers had missed. It had a loyal cohort of repeat purchasers which it brought into the store, so when it became unavailable some moved elsewhere, taking their whole shop with them. From a retailer’s perspective, while the category purchase is important, the basket purchase is vital. The British grocery market returns to slow growth after a disappointing Christmas period.